Suhana, Sonakshi and her family dine together. Sonakshi says I had work, now I have time. Suhana wants to go Kolkata and asks her Nana to book tickets. 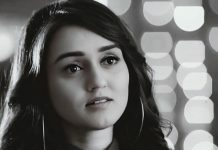 She wants Sonakshi and Dev to stay together. Sonakshi is shocked that Suhana decided such big decision. Suhana’s Nana is happy and supports her in her decision. 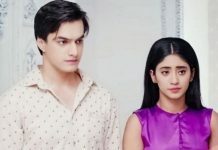 He wants Sonakshi and Suhana to stay away from Dev. 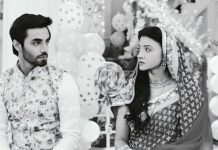 He stops Sonakshi from calling Dev. Sonakshi says Dev is Suhana’s father and has right to know her decision. Her dad asks her not to inform Dev, Suhana has taken the right decision. Suhana does not want to get divided between her mom and dad. Sonakshi feels bad and worries for her.